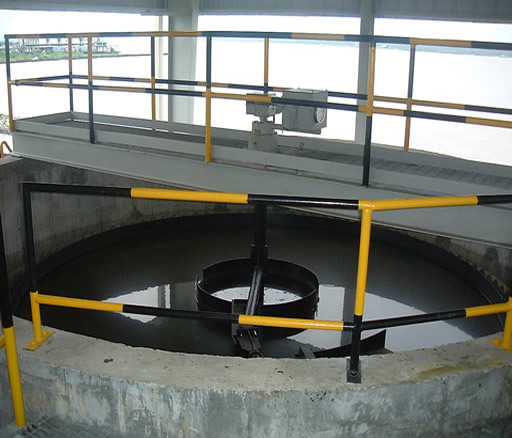 We were contacted on problem with leakage on just completed Sewage Treatment Plant. 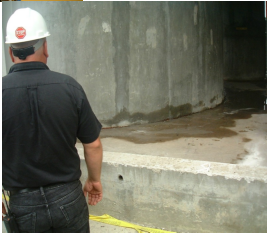 We visited site and identified that the Reinforced Concrete Primary Clarifier (1 unit), Secondary Clarifier (4 units) and the Aerobic Digestion Tanks (1 unit) were leaking from all the construction joints, some pipe connections, random damp patches and at the base of the Tanks. 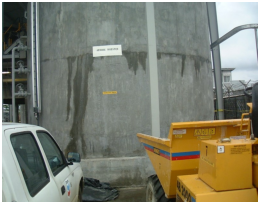 Waterproofing of Sewage Treatment Tank wall and base . 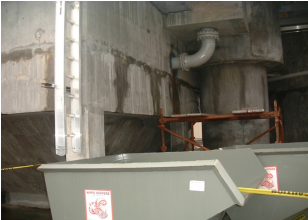 We treated the concrete with two coats of Cem-Kote CW Plus on the entire inner surface of the Tanks to ensure that the system was watertight. We also carried out concrete repair works, with Fibre Patch WP, on construction joints and steel pipe- concrete connections.